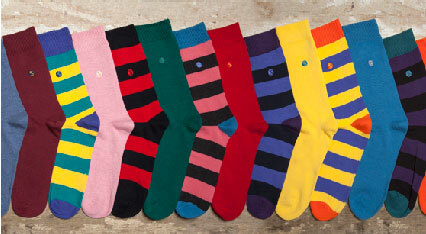 Get a 12% discount on your next order over £25 at Sock Shop, for all your sock needs, with our exclusive voucher code. Click on the ´Get Code´ to copy your discount code from a pop-up window. The SockShop website will open in a new window. Visit the website, and start searching for an item you´d want to buy. Once you´ve found the item you´d want to buy, select colour, size, and quantity. Click ´Add to Basket´. To view your basket, click on the shopping basket icon in the upper right corner of the website. Below your products, you´ll see an empty field where you should enter your voucher code. Paste your discount code and click ´Apply´. Your discount will be applied immediately. Click on the ´PayPal´ or ´Pay by Card´ button below to finish your order. Fill in all the required billing and delivery information, and click ´Proceed to Payment´. Enter your card details, and click on the ´Confirm Card Details´ button below. SockShop was founded in 1983 by Sophie and Richard. The very first SockShop was at London’s Knightsbridge tube station. Today, their main focus has been on their online store, that has more than 70 brands available for delivery to over 240 countries. SockShop sells not only socks but underwear, hats, scarves, and other garments as well.